The caterpillar lives on grasses (Poaceae). 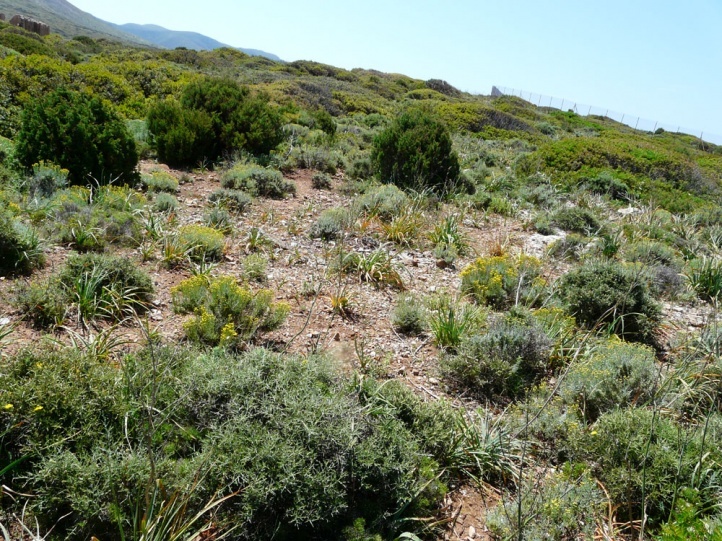 In Sardinia, the only frequent grass was a Brachypodium (Brachypodium retusum) at a maquis near Buggeru, at which also Lasiommata paramegera oviposited. 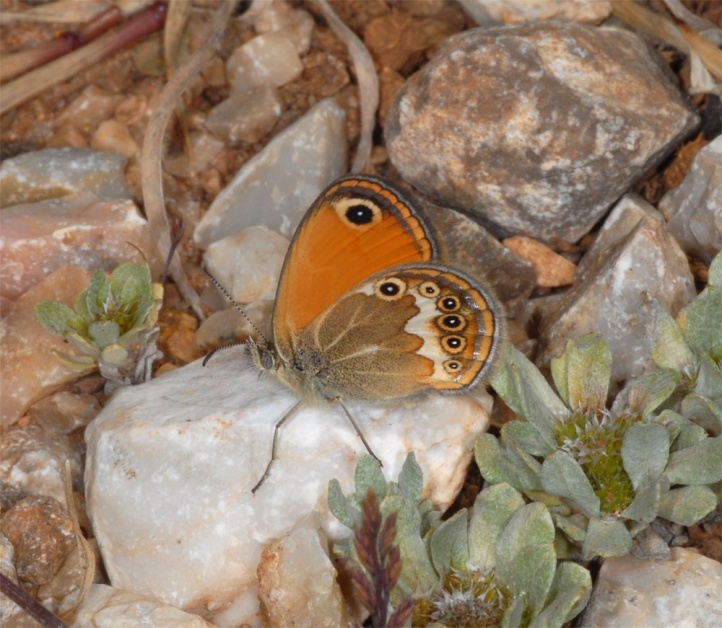 Coenonympha corinna inhabits open scrub (maquis) from near the coast up to rocky mountain meadows at 2000m. 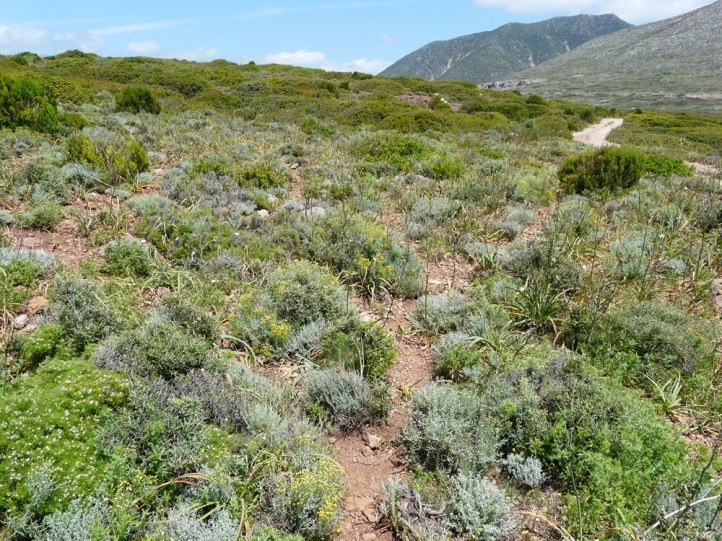 These are mostly gappy, rock interspersed, but shrub-rich. 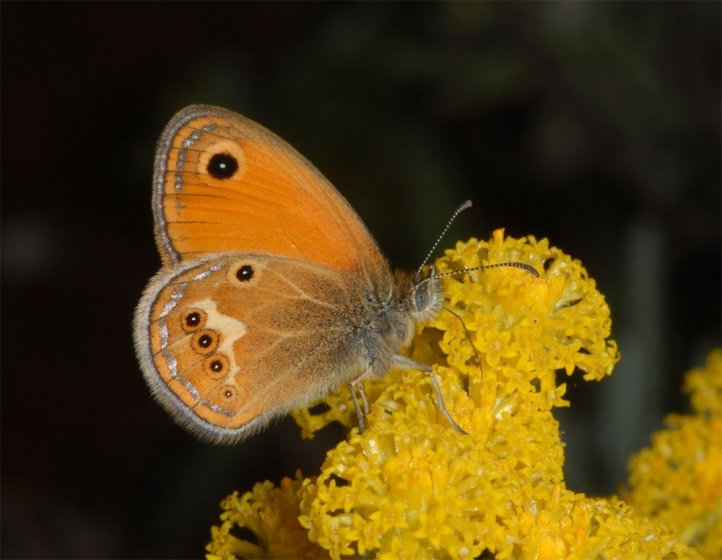 The butterflies occur at low altitudes in May and June and again in a very partial second generation from late July to early September. At higher elevations above about 900m above sea level, it is found only in a single generation from June to August. The caterpillar overwinters. 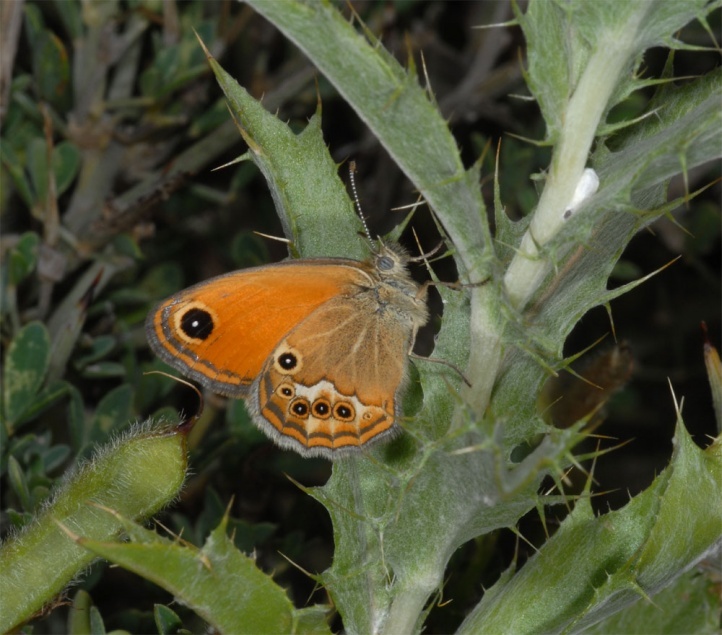 I met fresh adults (almost all males) in Sardinia in the southwest at Buggeru just above the coast in a hot scrub together with Zygaena corsica and Lasiommata paramegera in the second half of May. 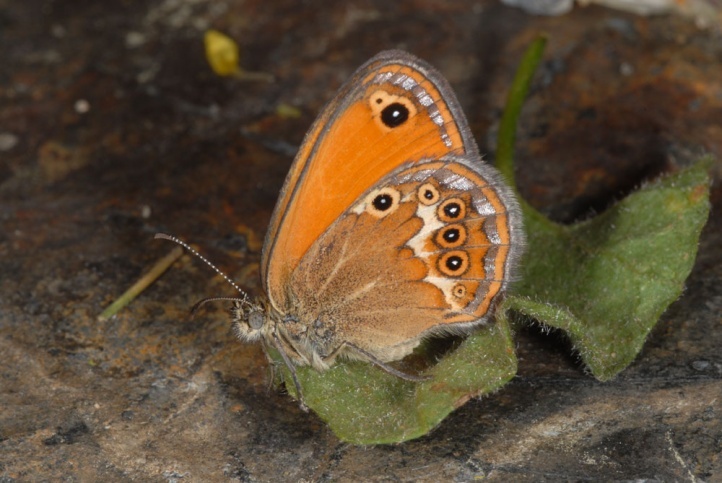 The males sat usually either on the ground (mostly on stones) or on small shrubs and herbaceous plants, but patrolled at higher temperatures also temporarily in the habitat in search for the females. 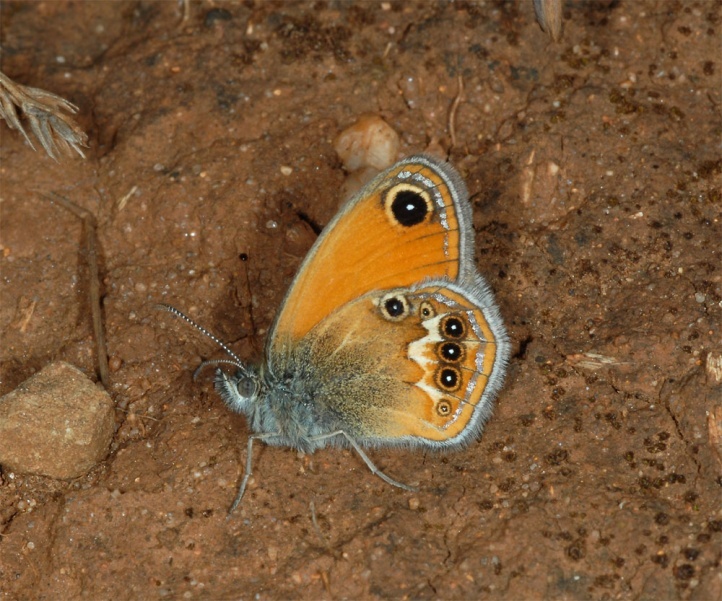 Overall, the behaviour is quite similar Coenonympha arcania. Coenonympha corinna is in total currently threatened probably only slightly. 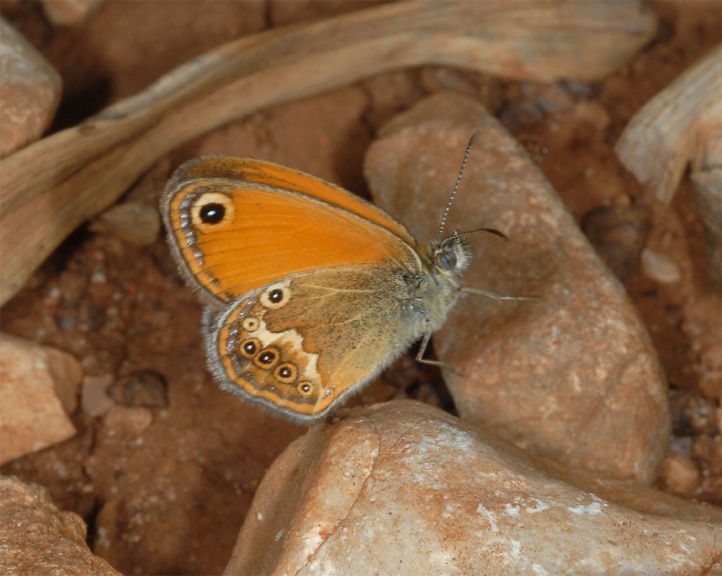 Coenonympha corinna is a Thyrrenical endemic and occurs mainly in Sardinia and Corsica. The ssp. 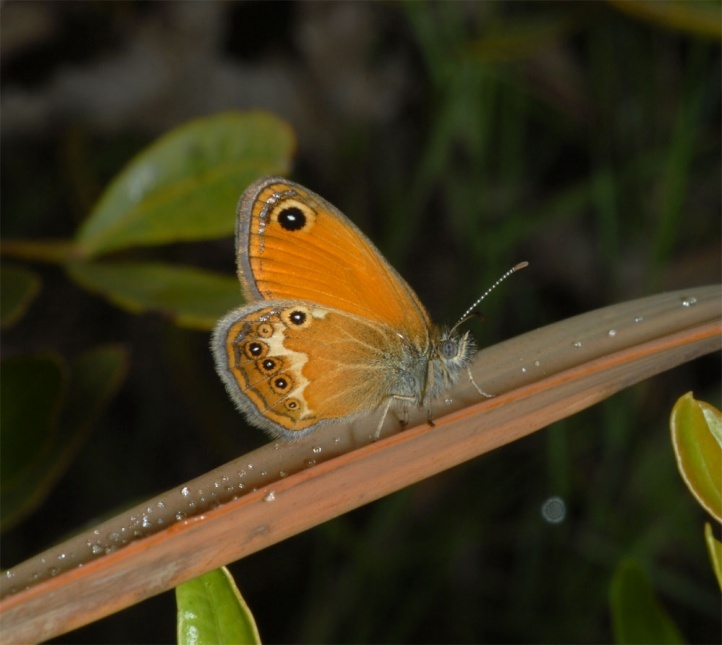 elbana (sometimes considered a separate species, but probably in fact only a subspecies) occurs in Elba, the nearby islands and in Tuscany.